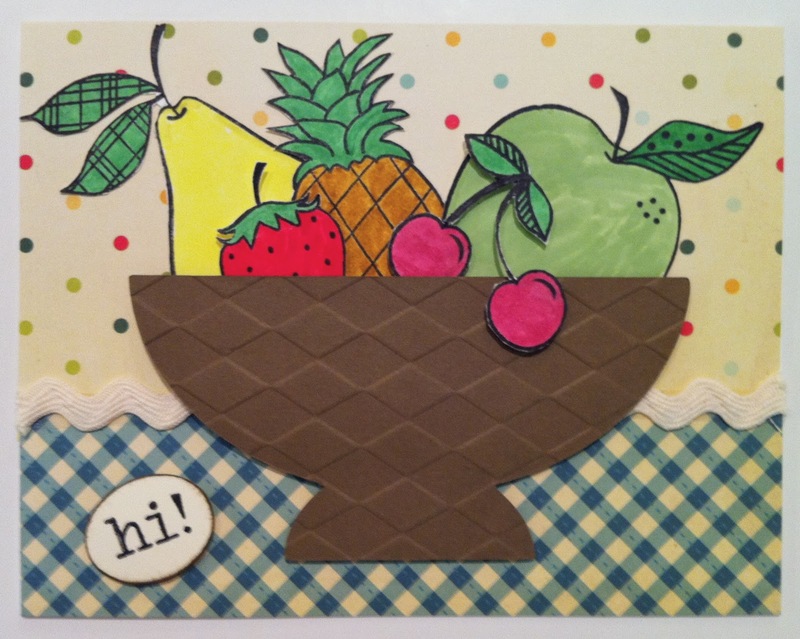 This card uses paper piecing to fill this bowl full of fun & cheery fruit. 7. Cut out fruit - I suggest getting some paper snips for detailed cutting - they make life much easier! !